I shall show you what's inside the box. 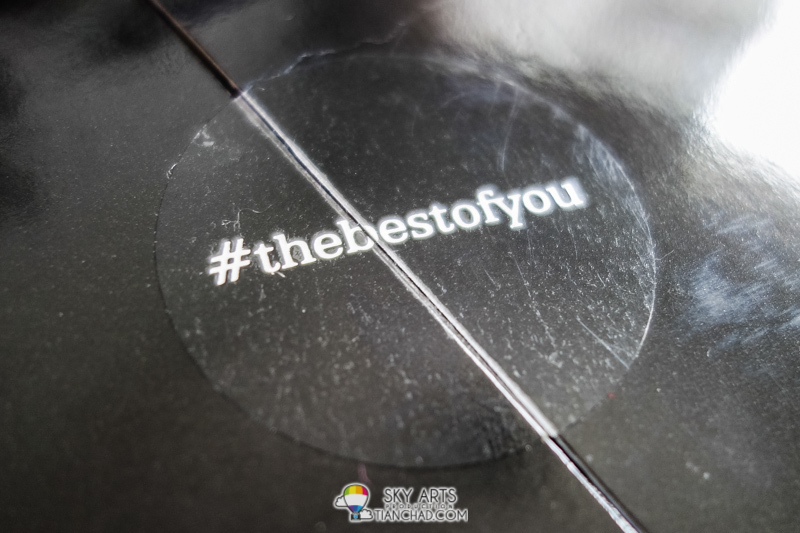 There are three different size #thebestofyou photo frame together with a booklet. Seems like something related to www.the-best-of-you.com. 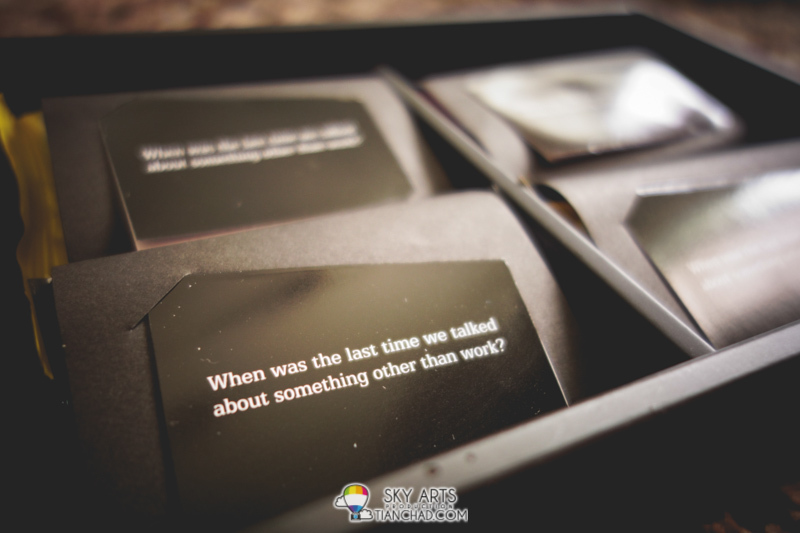 "When was the last time we talked about something other than work? Beneath the booklets and photo frame, contain these tiny packets of biscuit wrapped with a cardboard reminding us that you don't need to talk about work only with your family and friends. I guess this happen frequently for father and son as it feels like there is always a barrier between them. At least that's what happen to me. "Who or what is The Best of You might not come to mind right away. So take a few quiet moments now and think about what you have accomplished in your life so far. You can also think about what other people have accomplished and how their actions inspire you to be The Best of You." Here I am boring you with my reminiscences. So where should I start? Hmm... Okay. I live in a big family where I have two brothers and sisters while I am the eldest son. According to the family trait, it seems that the eldest son will always have the biggest responsibility in taking care of the parents (my grandparents) and childrens (my brothers and sisters). 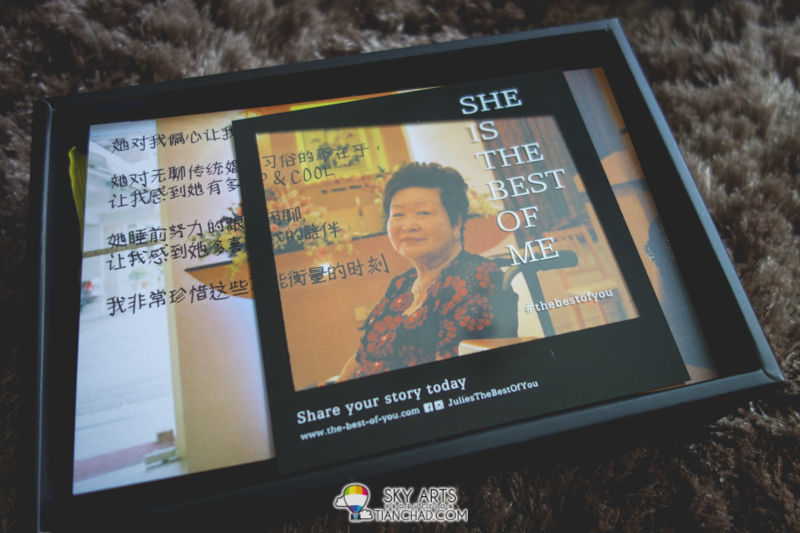 My father is the eldest son so I have seen how he took care of us. Gotta admit that it is not an easy task for my father to support the whole family and grandparents who took care of us because I was very naughty and didn't do well in my academy. The thing that I remember most is that my grandmother holding the 'rotan', waiting me under the tree because I climbed on the mango tree. I wasn't scared of height so I thought it was just a small matter climbing up high. Not to mention that me and my siblings always climb to the top of the cupboard and jumping down to the bed. It was fun haha!! 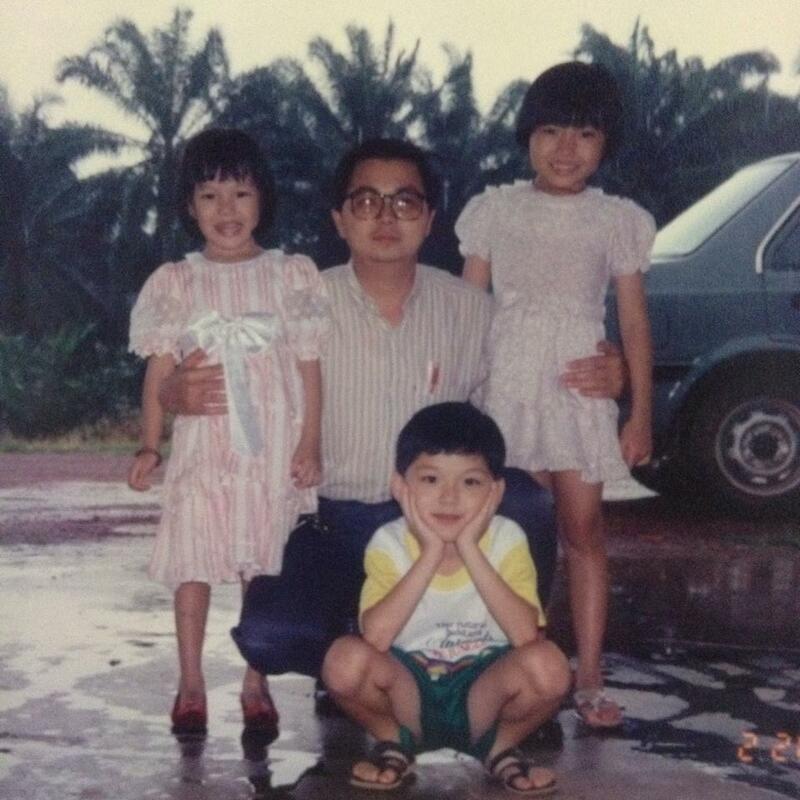 If not because of my grandparents loving care and guardian, I would have more bruises than now. HOWEVER, I gotta thanks them too because now I am not afraid of height and love to do adventurous activities like bungee jump and roller coaster. Life is more fun with it! Not every family has a perfect story so you are really blessed if you have a happy family who barely fight with each other at all. As for me I don't get to see happy moments from my parents since I was young because hearing them quarrel was a norm. Luckily I still have loving grandparents that offer me love and shelter; Now... me and my siblings have all grown up and parents have decided to proceed with a separated pathway. We still keep in touch just that we won't able to travel somewhere with the whole family members anymore. Now knowing that I will carry along the responsibility as a son and grandson very soon. I am glad that my parents give me enough freedom to choose what I want to do right now. I am glad that I've graduated with a degree in Biotechnology and worked in related field before I started my venture in blogging and photography. Thanks to my parents, I get to do what I really like as blogging and photography definitely makes my life even more colourful and fun. Of course, there are sad story too but I accept those as part of my life challenge. I am not sure if it is because of my history, I tends to take photograph of happy moment for family and friends as I know it is the precious thing that happen in life. Hence now I focus more on photographing wedding actual day and family portrait as that precious moments only happen once in a lifetime. I took family photo for Yvonne's family last year and from time to time she will share good news that the photos that she submit for contest won her awards and prizes =) I feel really happy when my clients and friends like the outcome of their photos and thanks me for that. Really appreciate that!! Talking about blogging, I am glad that it helps me to explore the bigger part of this world. There were so many different experiences that I got through blogging (driving on F1 circuit, Samsung Global Blogger 2012 London Olympic and many more!) This is why I like blogging and doing it full time alongside with my photography business. Because of my family and friends, I appreciate what they have done to make me a better person in many ways. Not to forget my girlfriend, who continuously motivate me and "beat" me up so I stay focus haha. Thanks to you guys!! From now on, I am more than happy to capture your precious moments with your friends and family. So don't be shy and call be up for a photoshoot or project collaboration!! That's how one should live their life to the fullest by doing things they like! I know it is still a long way to go in my life before I become a parent myself. Therefore with your existence as part of my life, you are shaping a better me too! "These are the best of me, who is the best of you?" I believe by appreciating things and people around you, you will able to figure out what makes you the best of you and who you are today. 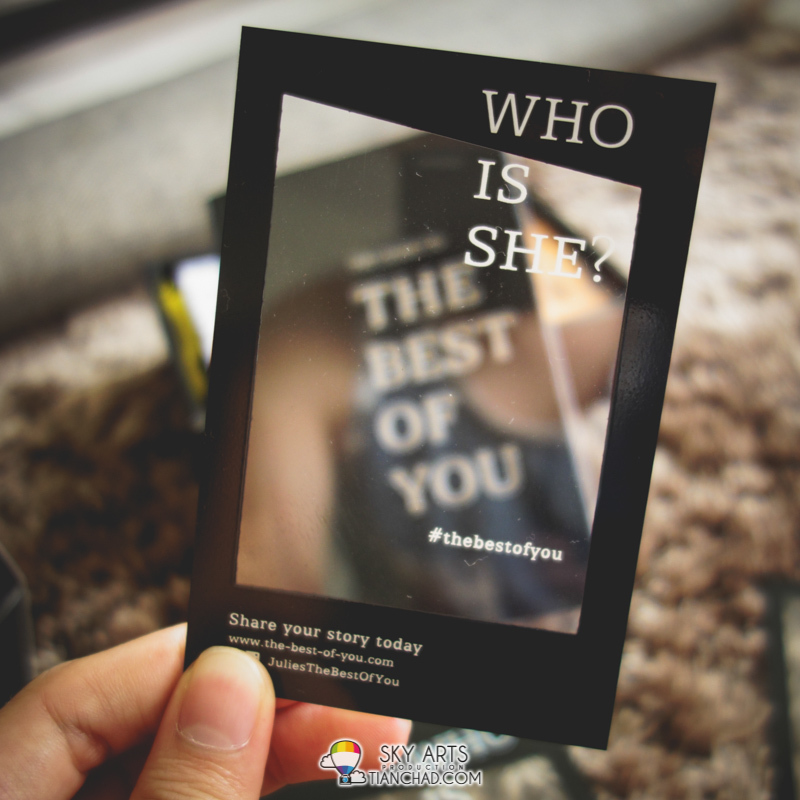 If you are interested to join this movement, head to the-best-of-you.com or www.fb.com/JuliesTheBestOfYou now and submit your story here. now. 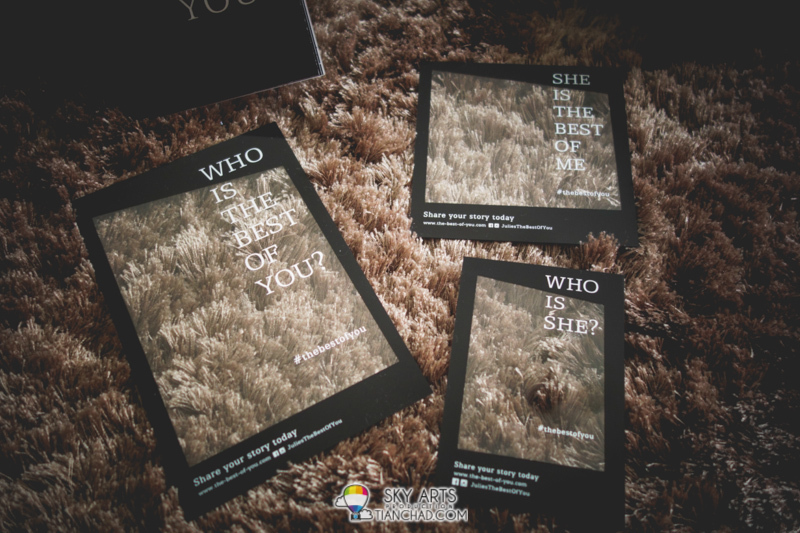 The Best of You will be having an exhibition showcasing different types of submissions, along with other work such as paintings, installation art and poetry!